It has taken me a long time to sit down and write this post, but I have had quite a few instagram messages requesting it so I thought now was the time to just get it written. I must admit I am finding the balance between knowing which content I should create hard. Should I concentrate on You Tube? Instagram? My blog? At the moment the other two just naturally seem to be taking a priority, but at the same time I have so many posts I want to write on here and this blog will always be my first love. 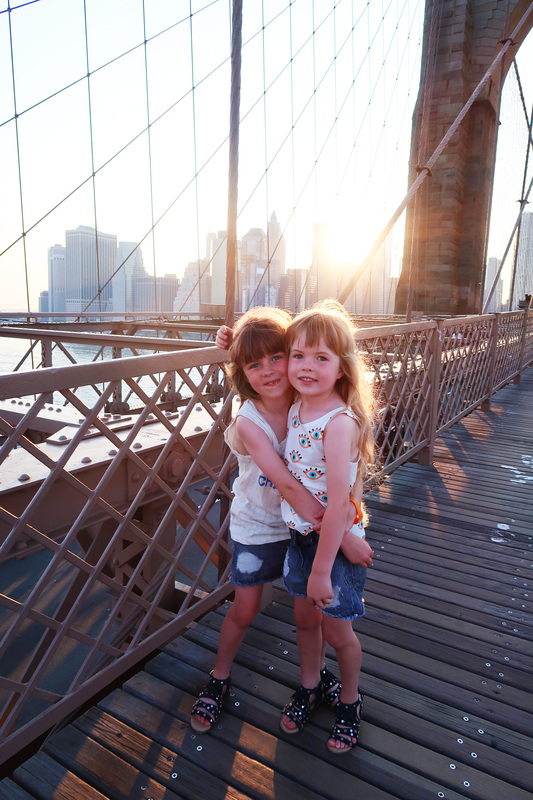 I’ve been lucky enough to visit NYC three times now, twice before I had my children. The first time I went, I went in April and the weather was mild and pleasant. I then went in February and it was absolutely freezing, it snowed and I just was really inappropriately dressed. I have never felt cold like it and of course a lot of the fun of the Big Apple is to just walk around and take it all in. When we went with the children last year we went in May half term and the weather was glorious. We had some cooler days (but never needed to wear a coat), and some days where the sun shone all day and it was really warm. It was just lovely, not too hot but mild enough to wander around, sit in Central Park for hours, and just generally enjoy it without feeling uncomfortable. Christmas is peak time in NYC and as such flights and accommodation will be expensive, but at the same time you get to visit the city lit up for the holiday season. January is a good time to visit if you pack appropriate clothing and are prepared for it to be COLD, but you also get good discounts at this time of year. Spring is a lovely time and the city comes alive during this time, plus there are deals to be had if you search out of holiday times. Summer is great and there is loads going on around the city, including some great free events, but it can also be an expensive time for flights and accommodation. It can get stifling hot and it is always really busy with crowds. You can get some great deals in September and October, and it is a really nice time to visit the city. We obviously had to time our trip with school holidays, so we chose May half term when US kids were still at school, and the crowds weren’t too crazy at all. Flights to NYC can be expensive, but also because there are so many flights in-between NYC and the UK each day, you can get deals if you shop around. We actually booked our flights in the British Airways Boxing Day sale and I can really recommend looking on there- they do a couple of sales a year and we have booked a few heavily discounted flights that way. From memory we ended up getting return flights for our family of 5 for £1600, that’s altogether not each, which while is still a lot of money, is such a low price for 5 return flights across the Atlantic. There are other flight comparison sites I use from time to time, such as Skyscanner (you can submit a date and destination and it tells you the cheapest flights available), this is also useful if you aren’t fussed about flying direct as you can get some good deals. We also really like an app on your phone called Hopper, which works by predicting prices and therefore helps you book your accomodation and flights at exactly the right time. I think like with all these things you have to take the info they give you and use your own judgement, I recommend really watching the flights over a period of a few weeks to see how they fluctuate. Technically speaking we find that the earlier in advance you can book the flights the better, we have have got great deals by booking almost as soon as the seats get issued. But if you can’t book that far in advance, around 2-3 months in advance always seems to have good deals. You can get good deals waiting till last minute, but with children that isn’t really feasible. Generally the cheapest months to book flights are January and August. 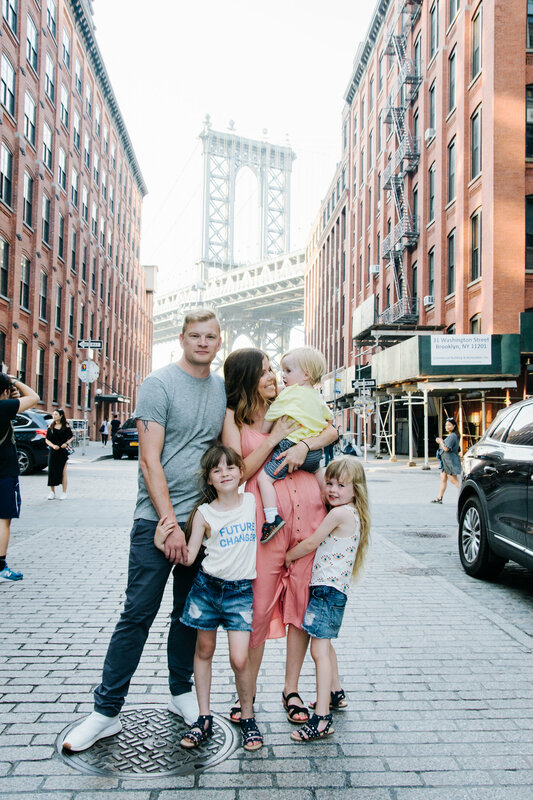 There are thousands upon thousands of hotel rooms available in NYC and booking family friendly accommodation can be a bit daunting. We started off by decided what area we wanted to be in for our week long stay. 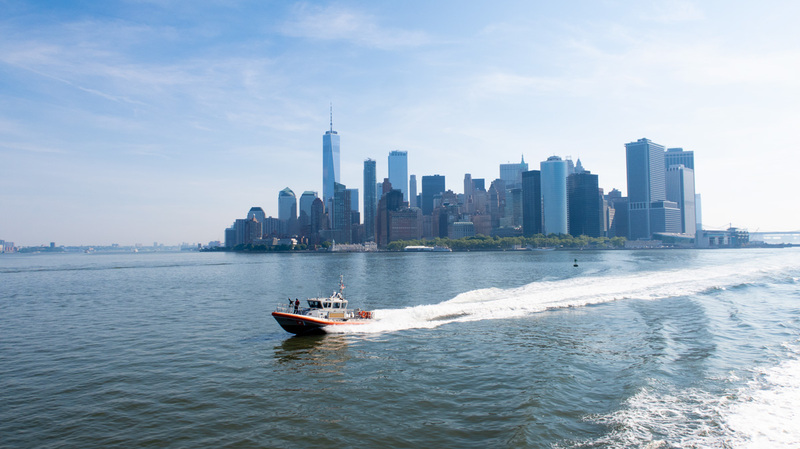 NYC is split into a few main areas of Manhattan, Brooklyn, Queens, The Bronx and Staten Island. Most tourists want to stay in Manhattan, this is where most of the tourist attractions are and is the NYC we see on films and on tv. But Manhattan itself has different areas, each of them vast and with so many hotel rooms. When booking a hotel room I will start off looking at a site like booking.com (I used to work here for years so I am loyal to it! ), to give me a vague idea of what is out there. From there I then go on to individual hotel websites, just so I get a better feel for each destination, and I will look on sites like trip advisor to see what people are saying (bear in mind to take them with a pinch of salt though). I also look at bloggers/instagrammers who I admire and see if they have stayed in the destination I am thinking of. Hotel websites like booking.com ‘should’ have rate parity- ie they should be under agreement with the hotel that they will advertise the same rates across all the sites they are advertising on, including their own hotel website, but in all honesty it is always worth checking the hotels own website as sometimes they are sneaky and will do cheaper deals on their own site. It’s also worth looking at airbnb, while we didn’t stay in an airbnb during our time in NYC we love airbnb and use it regularly for other trips. I think it is the perfect way of travelling and feeling like a local. We decided that we wanted to change hotel during our trip and stay 4 nights in Manhattan and 3 nights in Brooklyn, just because we wanted to experience the more local, less touristy side to NYC as well. We knew we wanted to stay in Manhattan but didn’t want to stay in the touristy areas of Times Square etc, where room sizes are smaller (not great for a family of 5 as NYC rooms are small as it is). I researched areas before we went and decided that the Battery Park area of the city looked good for us. It’s a quiet area, mostly financial, but with some great open spaces to run around in, plus only a 20 minute or so taxi or subway ride up to the main tourist areas. I found the Conrad New York and immediately was attracted to it for it’s location, just a few minute walk from the 9/11 memorial and the new Westfield shopping centre that has opened, plus not too far from the Staten Island Ferry and other parts of Battery Park we wanted to explore. We really liked the Conrad New York, it was quite corporate but that suited us just fine as it meant we came and went without being bothered. It’s in a fantastic location, just near some lovely big green open spaces, and in fact there is a fantastic kids playground practically right outside the front of the hotel. It was a quiet area, with loads of parks for the kids to run around in and it was really easy to get around to other areas of the city. We would definitely stay there again. When we stayed in Brooklyn we stayed at the Box House Hotel, which is actually classed as an area called Green Point, a quite up and coming area close to Williamsburg (a very hip cool area which has gone through a massive process of gentrification the last few years). The hotel was fantastic, really cool and quirky, with huge, stylish split level rooms (at least our suite was), but the only thing I would say if you consider booking it is that it is quite far away from the main Brooklyn area of DUMBO etc. We walked into Williamsburg itself a couple times and that took about half an hour, but DUMBO is a good 20 minute taxi ride away. Still we really enjoyed our stay there and would definitely stay again, but it is just something to bear in mind if you think about booking. 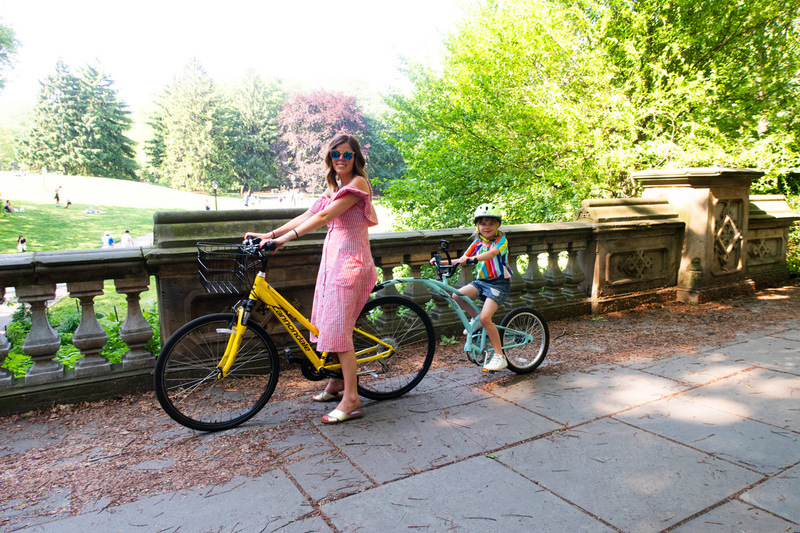 We had been a little daunted about the prospect of getting around NYC with three small children. Turns out it was much easier than expected. We actually ended up mostly walking, the city is so cool and amazing that you want to take every little aspect in. We would cover miles and miles each day. We also jumped on the Subway, if anything for the experience, and found it quite easy to navigate. I also felt really safe on there too. But for the most part we actually just ended up hailing cabs or using an Uber to get to different destinations, as both were quite affordable. If you haven’t used Uber before I really recommend it, we use it pretty much in every city we go. You download the app, sign up and then from the app can therefore book drivers. It is affordable, convenient and great because it means that you don’t have to carry cash around as you store your details and the money comes straight from your account. With Uber you can request a large vehicle if you are part of a bigger family. The iconic yellow NYC cabs were really quite easy to flag down and were a little bit more than Uber’s but still pretty reasonable. Kids wise if your child is a toddler or baby I would definitely invest in a carrier. I carried Wren on my back the entire time we were walking around and it was so easy. You can rent them from local sling libraries if you don’t want to buy one yourself, or perhaps borrow one off a friend. It really felt like he was part of the action walking around rather than stuck in his buggy. I also get a fair few messages on instagram asking about the deal with car seats and taxis and Ubers. We never bring our own car seats with us. If you are getting transfers from the airport (we booked airport transfers with Attraction Tickets Direct just so we knew we were getting car seats), then you can request car seats for children. But in terms of every day taxi use for short distances we just let Wren sit on our lap or on a seat without a car seat. Obviously this is down to personal preference and some people might not be comfortable doing it, but we felt comfortable just for short distances as NYC is such a grid locked city we never went very fast. The one thing I can stress when going to NYC is to at least have some sort of rough plan before you travel. It is a vast city, full of amazing things to do, and you are going to want to at least plan a little bit. Look at all the main attractions and things you want to do and then split them into areas, e.g Central Park/Times Square/Top of the Rock one day, Battery Park/Statue of Liberty/Staten Island another, Chelsea/Soho/Greenwich another etc depending on how long you are in the city for. Then plan a basic itinerary for each day, it doesn’t have to be set in stone but is good to know at least what area to concentrate on. I always turn to my favourite bloggers and instagrammers for inspiration on what to do, I will look up my favourite people and see if they have been to the place I am going before as I find those kind of suggestions really helpful. A lot of people will save travel tips to their highlights or write specific blog posts. I also love Time Out and You Tube. If I am scrolling on instagram before our trip I always make sure I save posts to a collection as it means then they are easily accessible when I am on the trip. I get so much inspiration for our trips from instagram. I really recommend getting a tourist pass. We got New York Explorer Pass Tickets from Attraction Tickets Direct. I am always a bit sceptical about these things and whether we will get the use out of them, but in a city like NYC I think they are a must. They make things a lot more convenient, you buy the pass for a certain amount of attractions and then you can use them on a huge list of attractions available. In many cases you can go in special lines or skip the queues too. 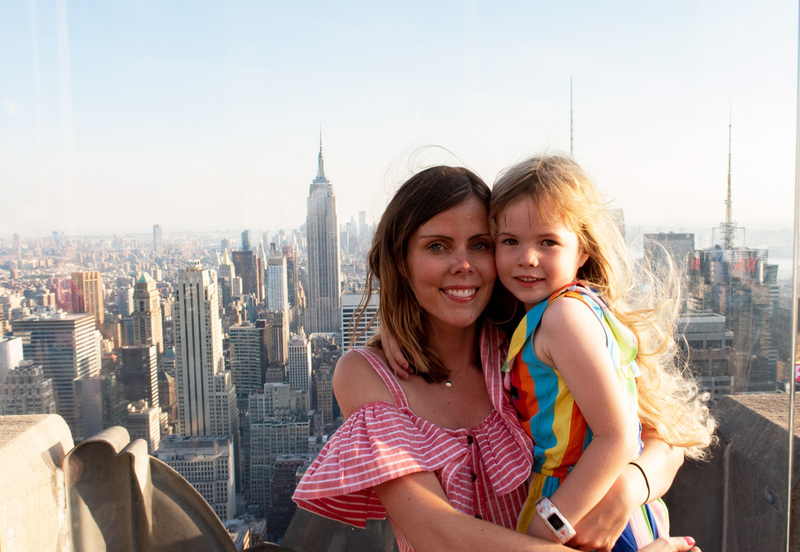 As NYC is such a touristy city we just found that we were wanting to visit a lot of the tourist attractions, such as Top of the Rock, the 9/11 Museum and Memorial, and a hop on/hop off bus tour. I wanted to dedicate a segment to sharing what we did while we were there. 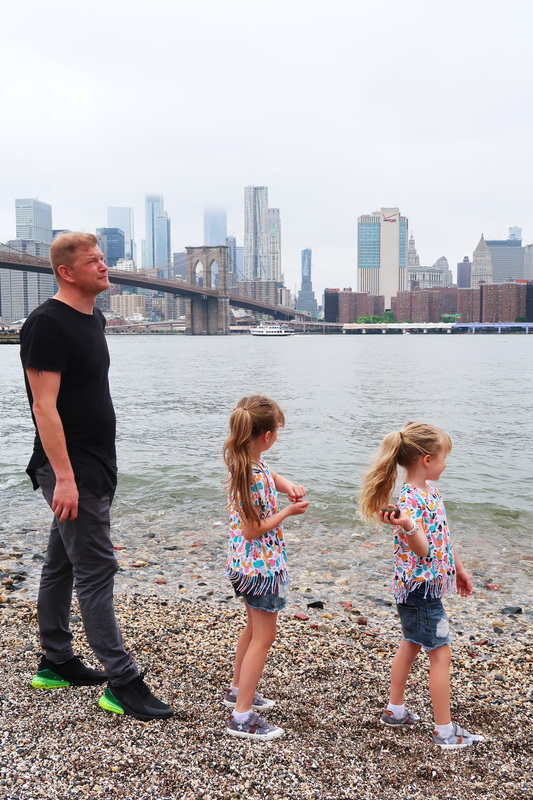 We found the perfect mixture of things to do that were family friendly and great fun and I have written some guides and done a few travel guide videos that might help you when planning your NYC trip. First up I put a lot of photos on instagram while we were there. 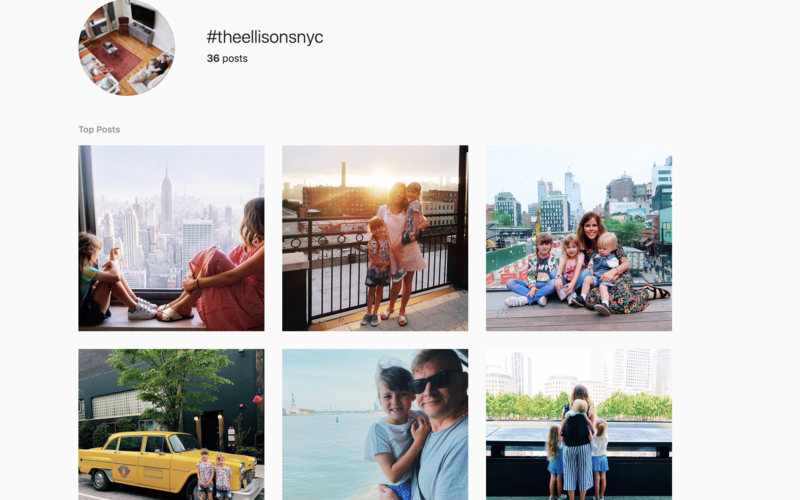 Check out #theellisonsnyc to get an idea of what we did. What’s great about the Instagram posts is lots of people have commented below saying their tips too. Next up I did a few travel guide style videos of our time there. Hopefully these are helpful and give you some tips on what to do while you are in New York, but you can always send me a message over on instagram @katie_ellison and I can give you some more advice.